My Encounter with the Rebbe was launched by JEM in 1998, aiming to document the unknown and untold story of the Rebbe’s life. Many tens of thousands of individuals visited with the Rebbe privately, seeking counsel and direction. Many times that number communicated with him in writing. It is largely through these relationships that the Rebbe had his impact on world Jewry. While his published works fill countless volumes, the how and what of his impact on lives and communities — and in fact, an entire generation — remain as yet, untold. The project has already collected over eight hundred videotaped testimonies in which ordinary individuals and public personalities detail the relationship and correspondence they maintained with the Rebbe. Ranging between one and seven hours in length, each interview tells a different personal story — together, comprising a testament to the Rebbe’s far-reaching influence and impassioned leadership, and a tool to teach generations that follow. Short excerpts from these interviews have been released weekly in our popular video magazine, Living Torah. The interviews constitute the bulk of the material for the documentary series on the Rebbe’s early life, The Early Years, as well as other DVDs, such as, the Faithful and Fortified Series, The Rebbetzin, Rebbetzin Chana, Sensitivity and our most recent DVD releases, A Glimpse through the veil, Volumes 1 and 2. By taking the initiative now, future generations will look to this pivotal moment as one when a group of people rose to the challenge of recording the first-hand accounts of interactions between this — nd the previous — generation with the Rebbe, and to preserve them for posterity. Get involved! Send us leads of people to interview! 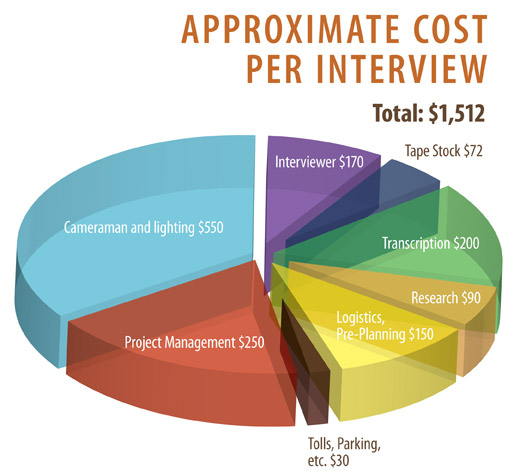 Donate an interview or part of the cost of an interview! Help us preserve these precious testimonies before it’s too late!